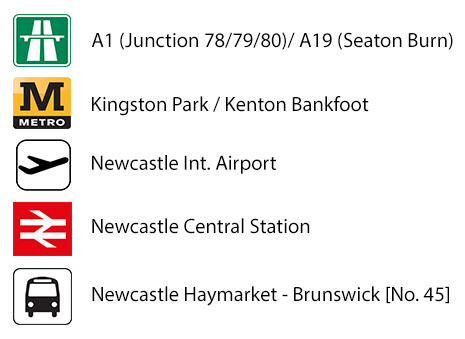 Jack Ford Motors is conveniently located just to the North West of Newcastle upon Tyne with close road links to A1, A19 and A69 Road Networks and only a short distance away from the Tyne & Wear Metro system at Regents Centre / Kingston Park and Airport stops (all on the Airport Line). Arriva Buses also run a Service [No. 45] from Newcastle Haymarket Bus Station to Brunswick Village, which stops just outside the Industrial Estate. For those a little further away, we are in sight of Newcastle International Airport and just 8 or so miles away from Newcastle’s Central [Train] Station. Whether you are from the North East, North West, Scotland or the South we might not be as far away as you think.